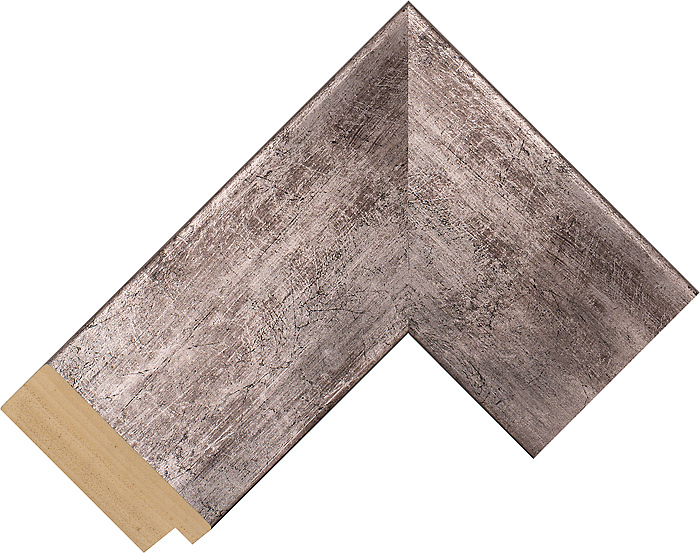 This contemporary moulding is made from kiln-dried Ayous wood. It has a luxurious distressed pewter finish with a soft sheen. The depth at the side is 25mm and the width on the face is 75mm. A slimmer version is available.